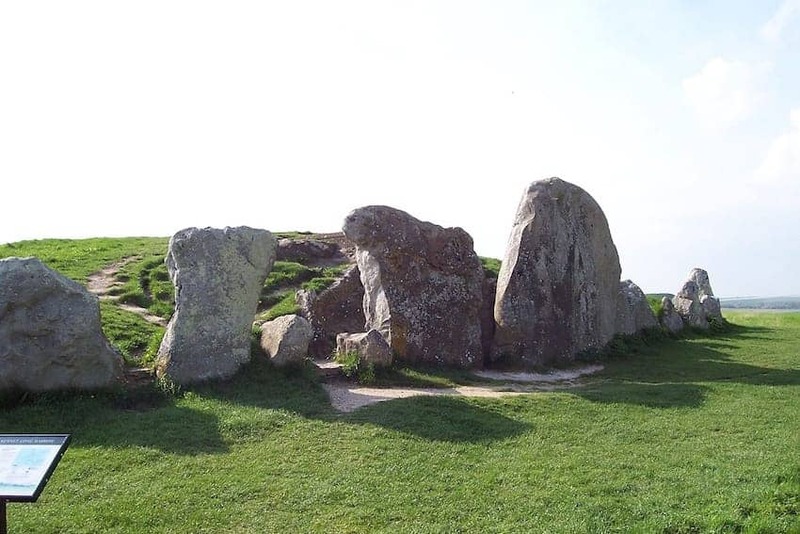 Situated on a prominent chalk ridge near Silbury Hill, close to Avebury in Wiltshire, the West Kennett Long Barrow is one of the largest, most impressive and most accessible Neolithic chambered tombs in Britain. 104 metres long with a series of chambers at one end it was built around 3650 BC, centuries earlier than Avebury Henge. It was used for a short time as a burial chamber. Excavated in 1859, partial remains of nearly 50 people buried here were found together with grave goods including pottery, beads and stone implements. The site was restored and the facade and chambers reconstructed.